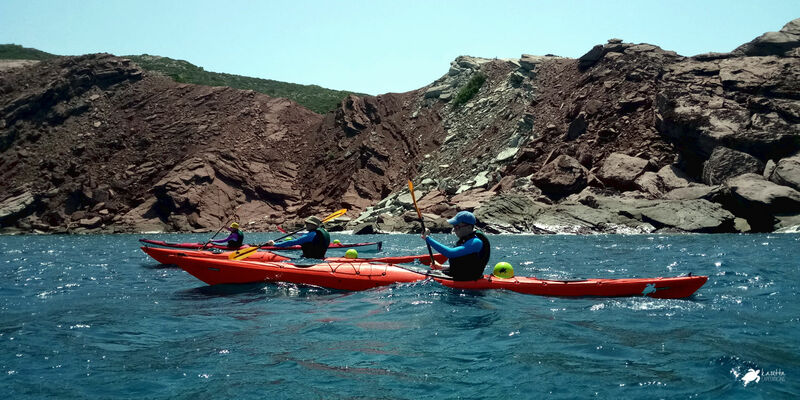 We offer sea kayaking guided routes and expeditions in the best places of Menorca. We want to share with you our knowledge of the island and the experience of living it from the sea. 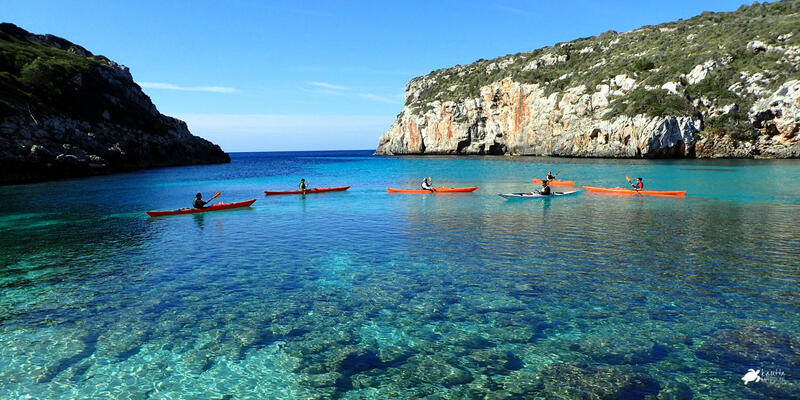 The island of Menorca, as a Biosphere Reserve, offers the best natural environment of the Mediterranean. 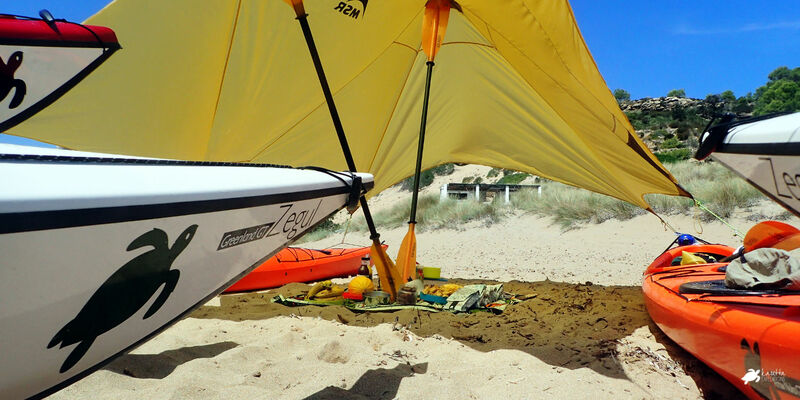 Its beaches, dune systems, caves, cliffs, hidden spots and endless kilometers of pristine coastline, host a magnificent spectacle worth to see from a kayak. No previous experience is required, we give you all the tools so that the first day you learn all the basics to enjoy the activity. We adapt to your level and your needs. We offer a personalized treatment and with small groups of a maximum of 8 participants. In all our activities we include food and water so you do not have to worry about anything. Just to pay attention to all your senses in a magical environment. 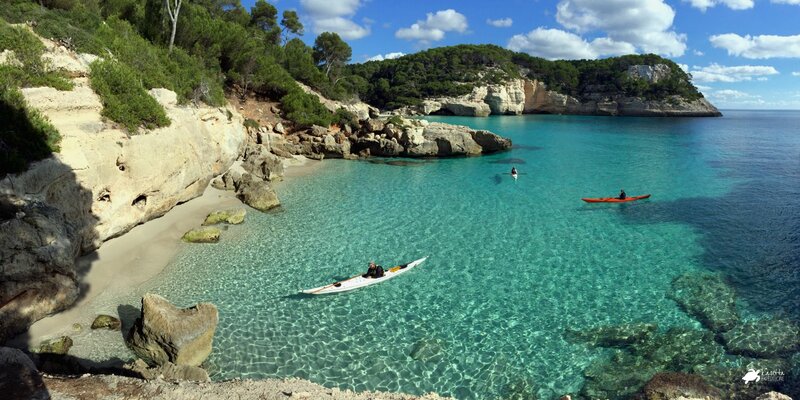 Beautiful excursions of 4 and 6 hours in the best places of Menorca. Suitable for families with children and teenagers who wish to live a different and unforgettable experience. Intermediate rest stop with homemade picnic, juices, water and swim with snorkel. 4 h / 55 € per participant. * Reduced prices for children under 13 years old. 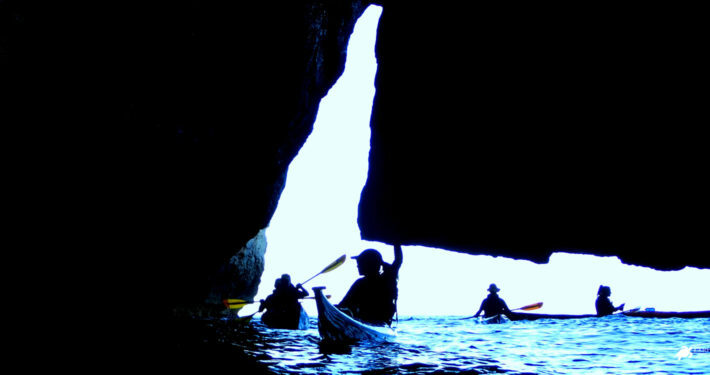 Two days of sea kayaking exploration through the best natural areas of Menorca. 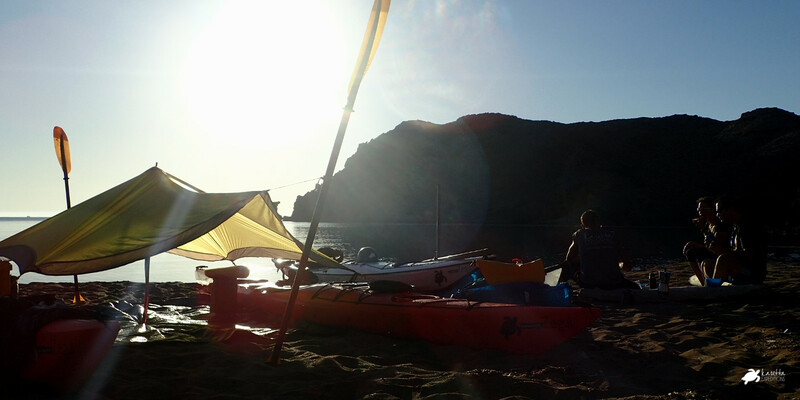 We discover the most inaccessible spots and spend the night outdoors in an incomparable natural environment. Suitable without previous experience. Suitable for families with teenagers. We take care of everything without you having to worry about anything. Only to enjoy! Includes homemade food made by our guides and water for every day. 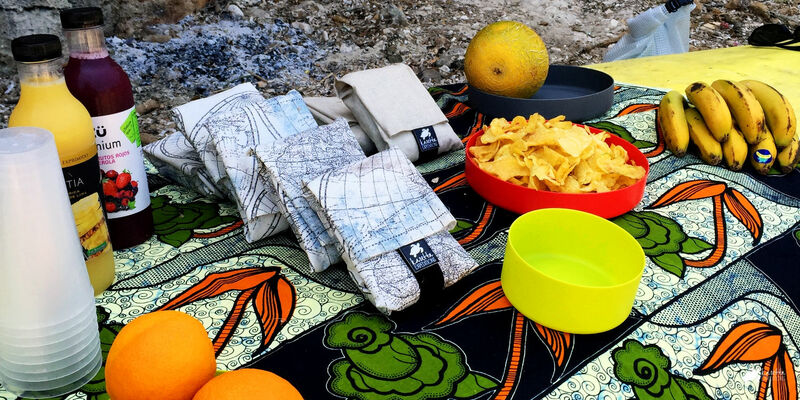 Navigation and overnight material, food utensils. Snorkel mask. 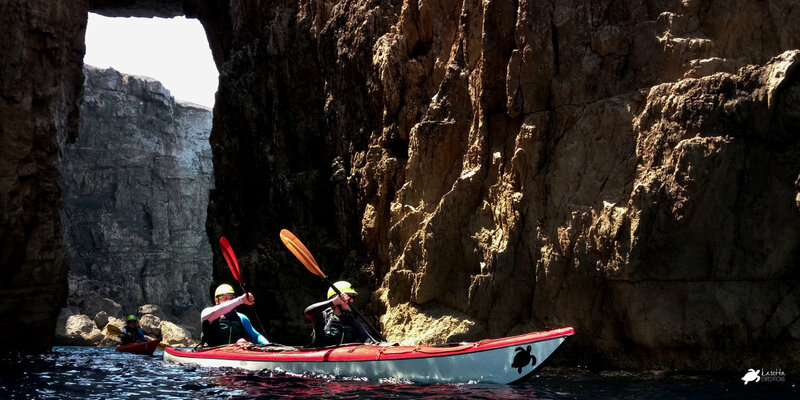 Escape and explore the unspoiled nature of Menorca in a kayak. Two different coasts, separated into two different trips. We will make your trip unique! Choose the one you prefer! Always depending on the wind forecast and the state of the sea during the days of navigation, we will do our best to fulfill your wish. Suitable without previous experience. You need an acceptable physical condition and know how to swim. Price: 455 € per participant. 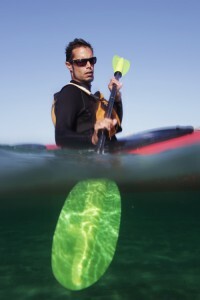 The kayak tour around Menorca, the authentic sea kayak expedition. 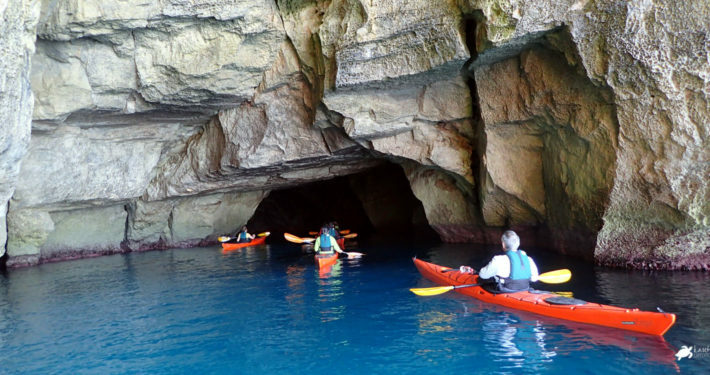 Enjoy 8 unforgettable days touring the entire coastline of the island, discovering all the virgin and paradisiacal existing beaches, unknown caves, rock bridges, millenary geology, calcareous cliffs, numerous islets and the marine reserve. We offer you an optimal and lightweight navigation material so you can live this spectacular journey in the most comfortable way. Personalized treatment with groups of a maximum of 8 participants. We adapt to your needs. 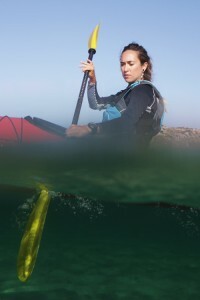 We present three proposals to learn the essential techniques and in progressive format, for the initiation in the sea kayak. If you already have some kind of experience in this activity, we will adapt the course to your level and focus on your learning needs. “Good professionals, you see they like what they do and respect the island. 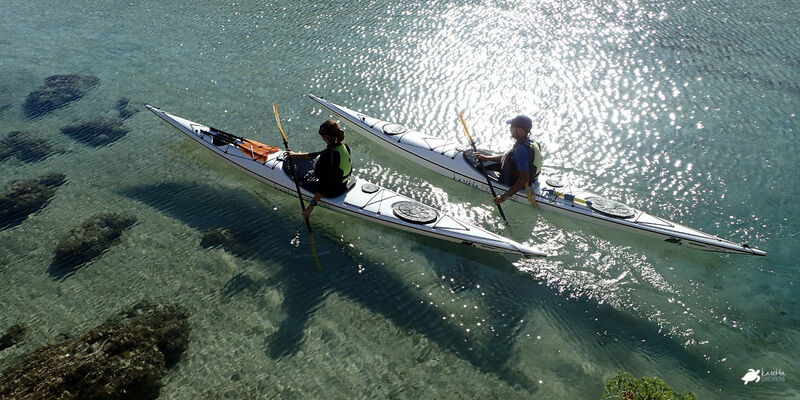 ” Fantastic experience lived with you, the circumnavigation of the island it has been a success in all senses. 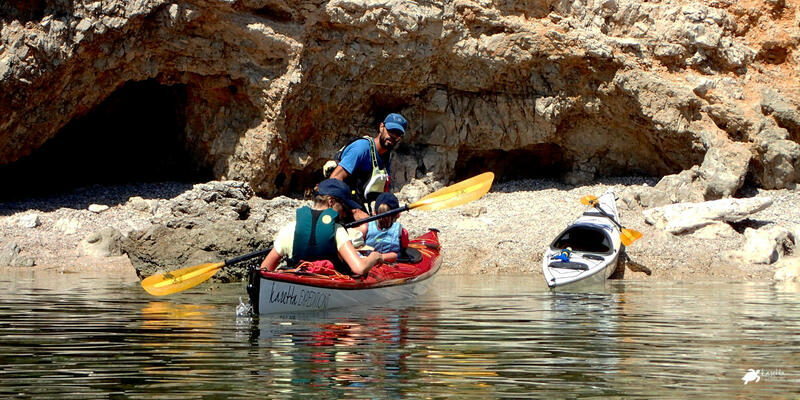 We are Isa, Lucas and Didac, three sea kayaking enthusiasts and Menorca lovers for years. 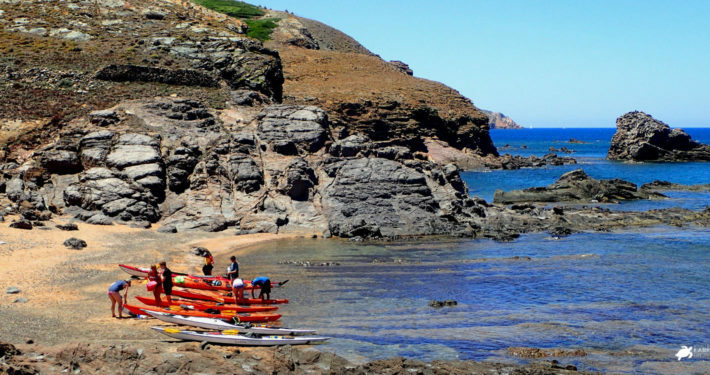 The main objective of our project consists on sharing with you the experience of exploring the stunning coasts of this island in a sea kayak to discover the magic in each of its corners. Search through all the options that we offer you the one that suits your desires. If you want to organize an activity for a group please contact us via the form or by phone and we will find the dates that best suit your availability. We must remember that nature does not belong to us, we belong to it. Check the calendar for upcoming expeditions that we have already scheduled. Choose your favorite one and contact us to reserve your place. Check availability for the 4 and 6 hour routes.